The word theology comes into English from the Greek θεολογία (theología), which is derived in turn from Τheos (Θεός), meaning God, and -λογία (-logia), meaning utterances, sayings, or rational, logical, or scientific discourse. But the word in Greek even predates Christian theology. The word θεολογία (theología) is used with the meaning ‘discourse on god’ in the fourth century BC by Plato in The Republic, Book ii, Chapter 18. Aristotle divided theoretical philosophy into mathematics, physics and theology, which, for Aristotle, included discourse on the nature of the divine. To this day, Saint John the Evangelist, or Saint John the Divine, is known to Greeks as Saint John the Theologian. The Patristic Greek writers often use the word theologia to refer narrowly to devout and inspired knowledge of, and teaching about, the essential nature of God. In the early sixth century, the Latin writer Boethius used theologia to denote a subdivision of philosophy, dealing with the motionless, incorporeal reality – as opposed to physica, dealing with corporeal, moving realities. In scholastic Latin writing, the term came to denote the rational study of the doctrines of Christianity. The word passed into French as théologie, and the English equivalent, ‘theology’ (theologie, teologye), had evolved by 1362. Indeed, until recently, theologians were often referred to as divines, religious teaching in English schools and university was referred to as divinity, and higher degrees in theology often use the description divinity, as in the degrees BD and DD. ‘Divvers’ was an examination in biblical literature and history required of every Oxford undergraduate up to 1932, and the poet John Betjeman, despite his later love of English churches, famously failed ‘divvers’ at Oxford twice, and he blamed his tutor CS Lewis for the fact that he left Oxford without a degree. There is a dictum in The Philokalia, ascribed to the Desert Father Evagrios the Solitary (Evagrios Pontikos), that says: ‘If you are a theologian, you will pray truly. And if you pray truly, you are a theologian’ [Treatise on Prayer, 61]. 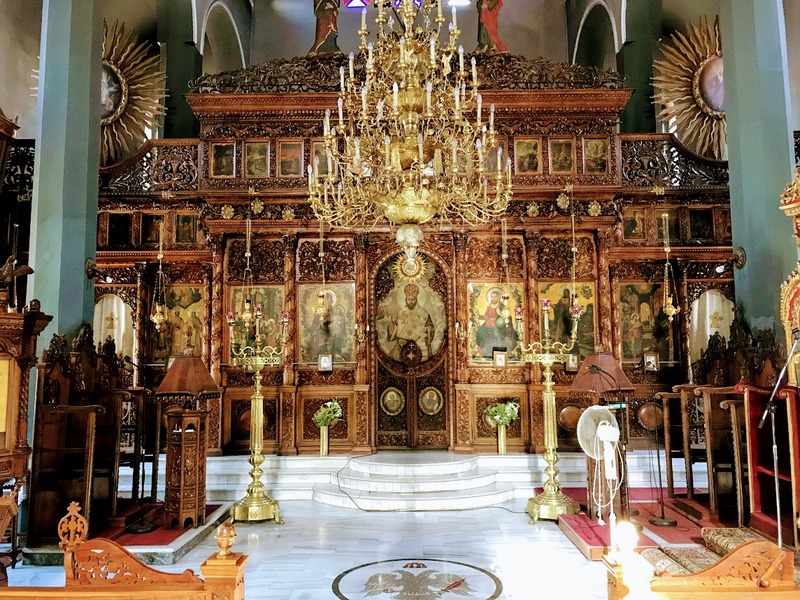 For this theologian, this holiday in Crete is also a time for prayer and reflection.